Mount the Speaker Drivers to the Enclosure. Connect the Left, Positive and Negative terminals (see picture below) on the amplifier to the Positive and Negative terminals of the Left speaker. 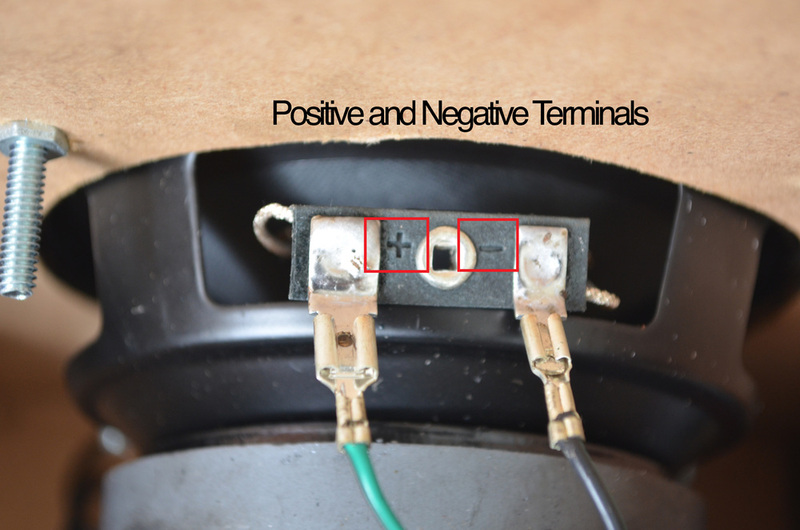 Connect the Right, Positive and Negative terminals (see picture below) on the amplifier to the Positive and Negative Terminals on the Right Speaker. As the wires connecting the speakers to the amplifier are quite thin, strip the wire and fold it back on itself and then screw it into the terminal. See the picture below.